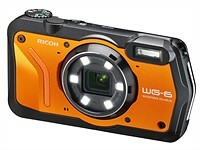 Ricoh's new WG-6 is the company's latest waterproof camera, with a 20MP sensor, 28-140mm equiv. lens and the ability to go 20m/65ft underwater. If you need something that's both crushproof and chemical-resistant, there's the G900, which is designed for industrial use. 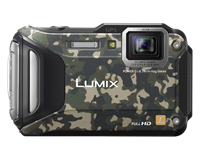 Panasonic has announced the Lumix DC-TS7 (known as the FT7 outside of North America), which is the first waterproof compact with an electronic viewfinder. 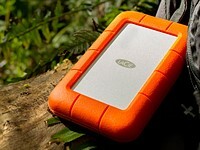 LaCie has taken its iconic lineup of rugged external drives to the next level with the announcement of its impending Rugged RAID Pro. It's thinner, lighter and faster than its predecessors, with USB-C connectivity and an integrated SD card reader. 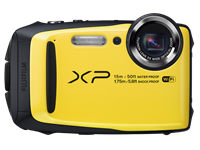 Fujifilm has announced the FinePix XP130, a rugged camera that can go up to 20 meters (65 feet) deep and handle a drop from 5.7 feet (1.8 meters). It's one of the cheapest all-weather cameras you'll find, with a price of $229. 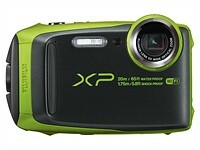 Thinking of getting a rugged or underwater camera for a tropical vacation this winter? 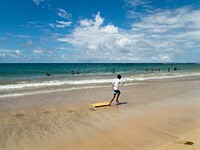 Jose Francisco Salgado tested two popular models, the Olympus TG-5 and Nikon W300 on a trip to Puerto Rico this summer. Find out what he thinks of these two cameras. 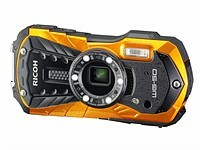 Ricoh has introduced a new rugged compact camera with a 16MP CMOS sensor, 28-140mm lens, 2.7" LCD and built-in LED macro lights. 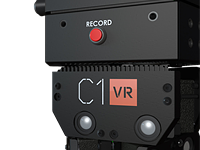 Ricoh is entering the choppy waters of the action camera market, which is currently dominated by GoPro. 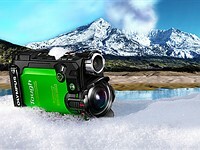 The company isn't truly a newcomer into the rugged market, as it has been making rugged cameras for many years. The WG-M1 is a 14MP camera that can dive up to 10m underwater, be dropped from 2m, and function at temperatures as low as -10C - all without a housing. The WG-M1 sports a 14MP CMOS sensor, super-wide lens with a 160° field-of-view, 1.5" LCD, 1080/30p video, and Wi-Fi. Naturally, mounts for nearly every purpose will be available. 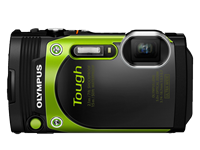 Olympus has announced the Tough TG-3, which takes its place as the flagship in the company's rugged camera lineup. The TG-3 sports a 16MP BSI-CMOS sensor and 25-100mm equiv. F2.0-4.9 lens, plus a 3-inch LCD, GPS, and Wi-Fi. It's waterproof to 15m, shockproof to 2.1m, crushproof to 100kgf, and freezeproof to -10C. 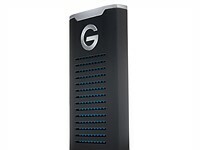 The TG-3 supports a new Light Guide accessory, which turns the built-in LED lamp into a macro ring light. 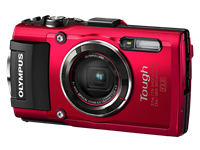 CES 2014: The Fujifilm FinePix XP70 is the company's latest rugged compact, building on its predecessor's specification with Wi-Fi connectivity. It's also waterproof to 33 ft / 10m (compared to the XP60's 20 ft rating), shockproof up to a 5 ft / 1.5m drop and freezeproof to +14F/-10C. 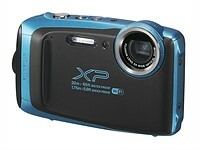 It offers a 28-140mm equivalent F3.9-4.9 zoom lens, 16 megapixel sensor, and 1080 HD video at 60i/30p. 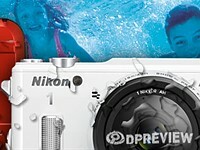 Nikon is a relatively new entrant into the world of underwater/rugged cameras much like its arch rival, Canon. 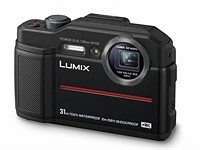 Its original model, the AW100, was announced in Fall of 2011, and then replaced in January 2013 by the Coolpix AW110. 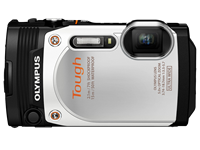 The Coolpix AW110 is quite similar to its predecessor, retaining its design, sensor, and lens. So what's new? 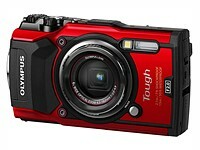 The AW110 is more rugged, sports a sharper OLED display, and supports Wi-Fi for easy photo sharing. 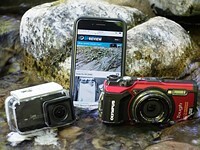 We've posted the first in a series of six reviews of rugged/waterproof compact cameras. 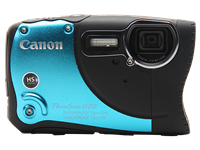 First up is the Canon PowerShot D20, whose fish-inspired design can go for swim, get dropped on the floor, and shoot in freezing temperatures. Once we've completed our reviews of all six cameras, we'll put together a comparison, so you can find out which is best-in-class. Follow the link to see how the PowerShot D20 performed in our tests. 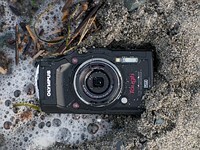 While other camera manufacturers have been making rugged cameras for many years, Canon didn't enter the market until early 2009 (preferring to create optional waterproof housings for many of its 'regular' compacts instead). 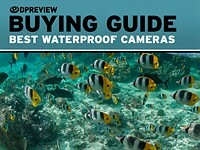 Canon's first truly waterproof digital compact camera, the PowerShot D10, had a rather unique (and chunky) design, but its solid performance photo quality earned it a 'Highly Recommended' badge in our 2009 Waterproof group test.